Terrence Malick is a bold filmmaker who is not afraid to take risks as demonstrated by Badlands, Days of Heaven, The Thin Red Line, and The New World. He's known for creating visually stunning dramas that explore the depths and reach of human emotions. The Tree of Life is his most ambitious film yet as he takes us on a journey from stardust to wonder, exploring the natural world, the joys of new life, the impact of memories, and the dynamics of family life. The Tree of Life is an unconventional film that challenges moviegoers to stretch their minds and souls as they surrender to the drama that explores nature and spirit, past and present, and the abstract story of the universe set alongside the intimate story of one family. 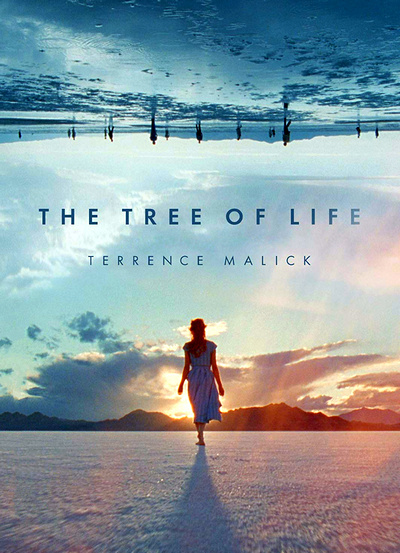 • Exploring The Tree of Life - this vintage documentary focuses on Terrence Malick's vision of cinema and features interviews with Christopher Nolan, David Fincher, visual effects artists Dede Gardner, Sarah Green, and Bill Poland, Brad Pitt, producer Grant Hill, and composer Alexandre Desplat, amongst others. The documentary was produced by Laurent Bouzereau in 2011. In English. (30 min). • Jessica Chastain - in this new video interview, actress Jessica Chastain discusses the audiotion process that landed her the role of Mrs. O'Brien, her interactions with the three boys, and what it was like to work with Terrence Malick. The interview was conducted exclusively for Criterion in 2018. In English. (19 min). • Visual Effects - in this new video interview, visual effects supervisor Dan Glass discusses his work with Terrence Malick on The Tree of Life and specifically how different themes that the director deemed crucial were expressed through images. The interview was conducted exclusively for Criterion in 2018. In English. (23 min). • Music - in this new program, critic Alex Ross discusses the unique role that music has in the work of director Terrence Malick. The program was created in 2018. In English. (19 min). • Cinematography - in this new video essay, critic Benjamin B examines the visual style and composition of The Tree of Life. The essay features excerpts from telephone interviews with cinematographer Emmanuel Lubezki, camera operator Jorg Widmer, first camera assistant Erik Brown, production designer Jack Fisk, and editor Mark Yoshikawa. The essay was created in 2018. In English, not subtitled. (17 min). • All Things Shinning, Part 5: "The Tree of Life" - presented here is a video essay by critic Matt Zoller Seitz and editor Serena Bramble, which was created in 2011 for Museum of the Moving Image in New York. It is the fifth in a series of visual explorations of the work of Terrence Malick, and it focuses on the director's unique approach to narration, visual style, and editing choices. In English. (Part One - 13 min, Part Two - 12 min).